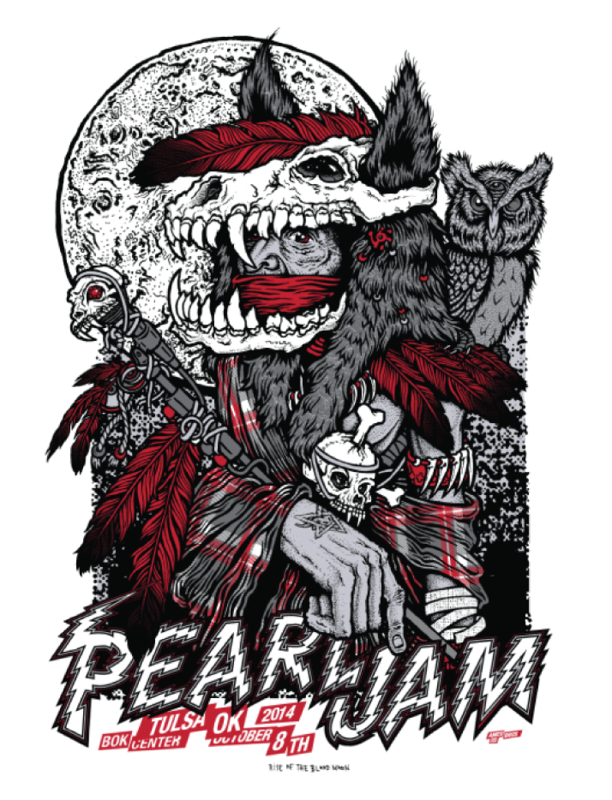 Ames Bros will have “Pearl Jam – Tulsa, OK 2014″ gig posters available soon. It is a 20″ x 26” 4-color Screenprint and is a signed/numbered edition of 130. On sale Thursday, October 9th at 10am PDT HERE. “Pearl Jam – Tulsa, OK 2014″ by Ames Bros. 20″ x 26” 4-color Screenprint. Ed of 130 S/N.